We meet again after a year to assess what has been achieved and what not. What we have succeeded in this year and what may need more time. For those years of WMF existence, we should be proud of the Federation, because the number of joyful messages are far more. The first is that minifootball is the largest amateur sport in the world in terms of the number of players. The second is that it has the greatest increase in new national unions compared to all other sports federations. Only in 2018, we accepted a total of 25 new unions. Finally, the third is that we have successfully launched the implementation of national minifootball associations into a single information system. In some countries, such as Russia, Romania, Bulgaria, Kazakhstan, and others, we are also cooperating successfully with football federations, and I believe that we will be able to continue to do so in the future. But what happened last year? First of all, there where low private sector investments in the development of minifootball. And here's important what the WMF Marketing Committee thinks about its results. It is the investment that creates our future and, therefore, the value of minifootball. This is mainly due to the lack of human resources that are competent and educated in this area. Although the federation and its members are experiencing economic growth, if it is to be sustainable, it must be accompanied by growth in investment. And here we have our shortcomings at both international and national level. The share of private investment with respect to our own resources is very low. One such investment is investing in the development of a single information system, which I see as important for increasing stable income at all levels of minifootball. That's why I very much welcome RSportz and FUTBALITO's investments, web development and mobile applications for minifootball. A single channel for all minifootball videos, results, and news will raise the value of the sport, and the WMF will then be able to financially subsidize its members. Economic growth is one thing. However, if it is not projected to promote in order to increase the number of players in the world and to improve their membership in better service as a motivational tool, it does not make sense to talk about it. For the years 2019 and 2020, we are talking about a possible economic growth of EUR 1.5 million, which should be shared between the parties that operate or use the system. And I would like to take this opportunity to think of the representatives of the national minifootabll societies about the discussions that will lead to the fulfillment of their conditions for the need to use the system as well as the other 10 countries already using the system. Last year was an election year. Elections to WMF leadership took place. Here I would like to thank not only the candidates for their determination to stand on such an important post but also the delegates themselves who have voted. I would like to congratulate all the new members of the Executive Committee and look forward to working together this year. At the same time, however, I would like all candidates, whether they are in the executive committee or those who are members of the commission, to consider participating in such important structures of the WMF unless their side activities do not allow them. It is important to realize that we preside over the representatives of millions of players around the world, which greatly increases our responsibility. However, the win in the election is the first step. Then you have to convince other members that implementing your innovations in minifootball will have a positive result for them. On the contrary, members should have the understanding to implement new things that can increase the economic value of their organization. In 2018, we recruited new employees on three important posts. General Secretary Ms. Zorica Hofman, Deputy PR Dejan Vujanic, and Director of Sports Events organized by the WMF. Last year, we also embraced several important rules within the federation. On the proposal of our commissions, we adopted a new discipline code, a code of ethics, a membership application according to the GDPR rules, a memorandum of drafts with the national football federations, and the standards for the training of judges, with the French company LABOSPORT we have finalized the standards for artificial lawns to official international football competitions. The WMF August General Assembly then adopted new WMF statutes in August, which underwent a change that responds to the conditions of international sports organizations. We have increased the number of events, whether WMF WORLD CUP U21 in Prague or through our members have also introduced continental championships in Libya and Guatemala, which have become qualifiers at WMF WORLD CUP. The General Assembly, in a transparent vote, has decided to hold this year's WMF WORLD CUP in Australia, and the Executive Committee has accepted the nominations of Ukraine and Senegal for the WMF WORLD CUP 2021. We have also increased our cooperation with external organizations such as marketing and media agencies to profit from the sale of television rights WMF WORLD CUP 2019, with the Russian Deputy Minister of Justice and President of International Students Football Union, we have entered into a cooperation agreement on the development of university leagues WMF WORLD CUP U23 in Russia on Red Square, which we will be preparing with our Russian member. Last but not least, we have entered into a trade agreement with the US company RSportz on the development of the information system. 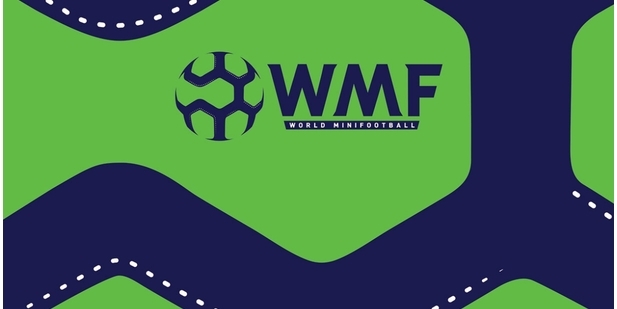 This year, I will continue to support an increase in the number of national minifootball associations integrated into the WMF information system, which RSportz and FUTBALITO create for us. And what will this year bring? Right from the edge of the year, we are expecting a few steps to prepare WMF WORLD CUP in Australia. We should approve a 10-year contract with a new sponsor, WORLD SPORT DESIGN, which will deliver to all WMF WORLD CUP by 2027 unique luxury glass cups and medals. I would like to also start this partnership to sell these unique cups and medals to our member federations and increase their marketing value. We will continue to prepare for investments in developing countries in Africa, the first one to be in Somalia where we held a number of negotiations last year on the construction of 7 minifootball stadiums. I would like to introduce training programs to exchange experiences and best practices between national and regional minifootball associations. I would also like to take advantage of the potential of successful WMF-affiliated associations and re-introduce training programs to exchange experiences and best practices between national and regional minifootball associations. Primarily in the field of marketing, co-operation with national football federations, raising volunteers in local and national organizations, improving service for players, increasing financial resources and training local judges. Next, would also focus on increasing the statistics we collect and helping us improve the WMF business plan towards partners from individual areas, such as bookmakers and sports equipment. These statistics will help us achieve real goals. In the field of events, I would like to lay the foundations of the WMF WORLD CUP and continue the set championship for youth up to 23 years, every two years. This year's eyes will be on WMF WORLD CUP 2019, hosted in Perth this year, which will also host the training of WMF international judges. Prior to the Championship, I would personally like to recommend the leadership of selected national associations to consider whether some national team leaders are able to perform this function because some of the positions they hold do not match the importance of this post and reduce the professionalism of communication. WMF events will create a completely new site, which will be visited by historical as well as the upcoming events organized by the WMF. It should also include the WMF Endowment Fund for financial assistance selected by members for their participation in the WMF WORLD CUP if they qualify as we supported in Somalia for example in 2017. Expected economic growth that I would like to achieve by increasing the involvement of members in the information system and creating a WMF ID, containing millions of necessary data that we can link with WMF business activities, by involving the WMF marketing committee more closely in communicating with partners and continuing our successful negotiations with our representatives IT commission with investors. Financial income would then like to propose to the General Meeting to increase the value of WMF actions and marketing support to WMF members to increase their membership base. 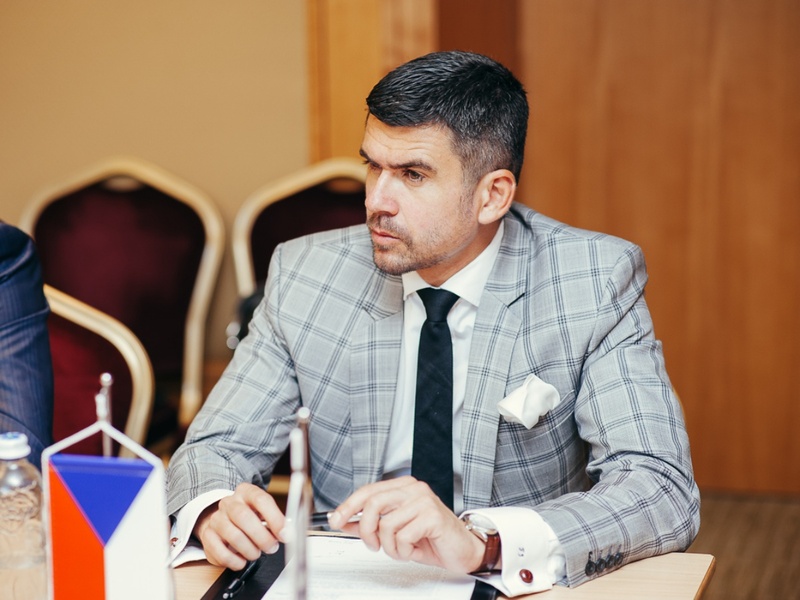 As well as economic growth, I expect this year's growth of member states to be at least 15, under the responsibility of the Development Committee under the leadership of a successful leader, Peter Kralik, who has managed this in the Czech Republic, when he opened 6 new cities in the last 3 years. It is people who are successful in their federations to be part of WMF leadership or at least to preside over WMF committees. On a larger scale, I would also like to work with football federations and conclude memoranda between the national football and football national societies. The last part of my speech would like to devote my attention to work by continental federations. The European Minifootball Federation chooses its new leadership and I am glad that people who support the transparency of the organization, democratic elections and stand for eligibility will use it. I am glad that the EMF will manage the people who come from the model structure of the national minifootball association, just as each national federation should look and be organized. I would like to wish the newly-formed coalition to survive and be successful. I am glad that Europe has separated the weeds from the grain, which has underlined these three basic values and I personally will fight hard to keep it that way. The countries that had to be excluded from my perspective blindly supported business activities for the sake of their personal benefit to the detriment of the joint success that is very important for the development of a minifootball family. Their thoughts have been slowed by this development, on the other hand, such things are happening and today's political Brexit is an example. One of Europe's great themes is migration and minifootball, in particular the EMF should be able to use minifootball as an instrument for social inclusion and the benefit of further financial support from the EU than it was last year and to which I would be the former President of the MF David Tibor I like to congratulate. I believe that little football can play an important role in the field of this social policy and is the prevention of violence, cruelty and drug addiction. I am glad that Europe has decided to conduct the EMF EURO once every two years. I see this as an important step towards national federations that will have more time to develop minifootball inside their country, and the finances they will not spend in EMF EUROs in that year that they will not spend EMF in that year will be able to invest in improved service for their members and marketing to increase the number of their members. Africa's leadership should become more involved in the number of the Member States and the development concept. However, given the conditions in some countries, the African Minifootball Confederation has made a tremendous amount of work and deserves applause. I see great work in an increasing number of international tournaments and their visions. In 2017, Tunisia organized WMF WORLD CUP, the first continental cup in Libya in 2018. This year, they are preparing for the next international Nessma Cup tournament, Nigeria will host the African Championship in 2020, and Senegal is one of the countries wishing to host the WMF WORLD CUP. Pan-America must find a means of compensation for the person who runs the administration of the entire organization. Leadership needs to be more involved in development issues related to organizing events. Of course, the division of the championship into two North and Central America and the South American championships is worth considering. This would undoubtedly reduce the cost of participation in the Continental Cup and, on the contrary, increase the number of starting countries in this prestigious championship. Great thanks go to Guatemala and Pablo Melchar, who was able to ensure the organizational success of the Pan-American Championship and Marcel Gonzales, who raised the media value of this event. Great thanks also include the leadership of all participating countries at PAMF CUP in Guatemala. I'm convinced they did a lot of work. America is also the continent of the highest number of national federations integrated into the WMF information system. In this, PAMF has done a great deal of work, and I would like to thank a lot to Sergio del Rio, Kevin Milliken, Rico Chermont, Marcelo Gonzales, Alfredo Maccise Saade for their time they spent to implement and support the pilot projects with RSportz, which are very important for the financial income of the entire minifootball family in the world, both as international minifootball federations and national federations. Asia is waiting for its big tournament and organizational success. A good sign is an increasing number of members, especially those economically important and numerous, such as Japan, China, Thailand or the United Arab Emirates and other GULF countries. Vitthal Shirgaonkar, in his chair position, has a great deal of work to do, and I personally am very convinced of his experience and opportunities in India that can host the Asian Championship in 2020. I also have great hope in this matter in Lebanon. One of Vitthal's key tasks this year is to have experienced leaders in the organization who will be able to increase the value of minifootball in Asia, primarily to prepare the continent for the Asian Championship 2020 and apply tried-and-tested methods of organization and development from Europe. I would recommend her connection with Oceania, both in the leadership of both continental organizations and the qualifications. One of the program statements, the WMF's global strategy, is also diplomacy economics. It has two tasks. This is the promotion of value-raising, awareness and sales support of our partners. Companies investing in minifootball become our partners. Our success is their success and I will do the utmost to pay off their dividends. The other is then to gain additional private investment in minifootball. This year, I would like to wish you health, love, and understanding for others so that we can lend a hand, and they are able to sit down to one table and find solutions to certain issues that we can meet in 2019. I wish the WMF continues to be perceived as fulfilling the goals and visions of all WMF members and speaking a common language, as spoken by American businessman Henry Ford: "Meeting is the beginning, cohesion is progress and cooperation is a success." In 2019, I believe in the success of common sense, minifootball and the success of all of us.